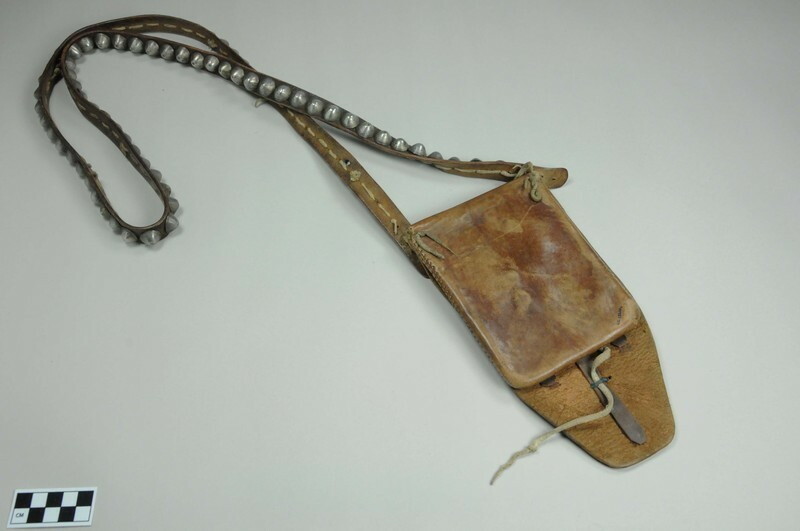 Navajo leather pouch decorated with silver elements from a bridle. The silver has one commercial stamp, and the rest of the design is filed. The leather is stamped along the borders; originally the pouch had other decorations, possibly 2 conchas and buttons along the edge. 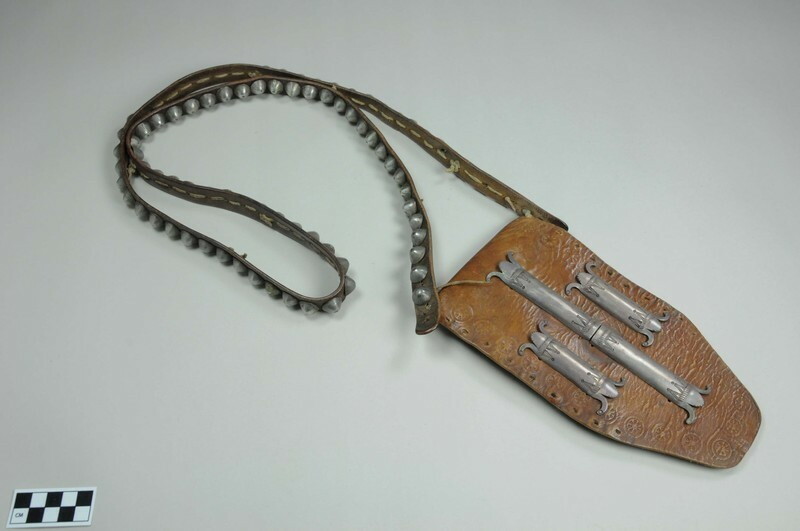 The leather strap has 84 embossed buttons.